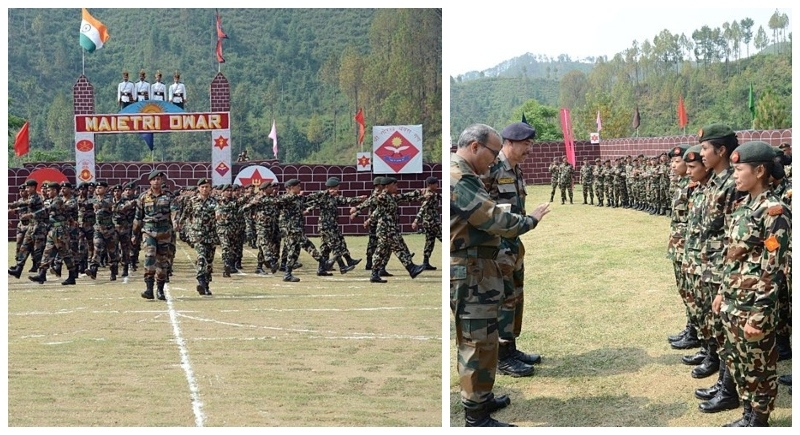 Dehradun, May 31: A joint military exercise named ‘Surya Kiran - XIII’ between India and Nepal has started at Pithoragarh on Wednesday with soldiers from both the countries sharing their experiences of counterinsurgency and counter-terrorist operations. This exercise will last till June 12. The exercise comprises of nearly 300 soldiers from both Indian and Nepal Army who would be sharing their experiences gained during the conduct of various counter-insurgency and counter-terrorism operations in the past. The aim of this exercise is to conduct battalion level joint training with emphasis on counterterrorism operations in mountainous terrain. During the exercise, aspects of disaster management and joint effort towards relief work have also been included. Especially in the series of military training exercises undertaken by India with various countries, Exercise Surya Kiran with Nepal is the largest in terms of troop participation. Exercise Surya Kiran is a biannual event which is conducted alternatively in Nepal and India. The joint military exercise is on the way to enhance the level of defense cooperation which will further strengthen the bilateral relations between the two nations.